To enhance your leadership presence and credibility when you make presentations, pitch to clients/prospects, and speak your “elevator speech”, borrow a technique from actors! One of the most powerful ways to become more persuasive when you speak is to practice the serious fun of acting improvisation. The power to speak with real impact in business is influenced by your physical and vocal presence; these are aspects of demeanor that are strengthened and expanded through acting improvisation. Practicing acting improvisation holds many benefits for business owners. It can help you (1) build prospects’ and clients’ trust, (2) convince them that you will be a true business partner for them, and (3) generate new business while keeping the business you already have. "Improv & storytelling techniques help transform your communication skills. You learn how to generate business by deepening interpersonal connections, speaking with authenticity, and engaging listeners. It also develops your ability to address the changing needs of existing clients by expanding your creativity and spontaneity." Improv & storytelling techniques help transform your communication skills. You learn how to generate business by deepening interpersonal connections, speaking with authenticity, and engaging listeners. It also develops your ability to address the changing needs of existing clients by expanding your creativity and spontaneity. The interactive activities (acting improv, theater games, and mind/body/voice techniques) help you project a spirit of collaboration and convince prospects that you can and will help solve their business problems. Whenever you speak about a business, your listeners want to know what’s in it for them. Acting improv addresses this concern. Early in their improv training, actors learn to answer the question, “Why are you telling me this?”. Improv teaches that you must answer this question in a way that is compelling for the listeners. Business professionals who do not answer this question in a way that is compelling for the prospect or client are losing business! To keep existing business and generate new business, you must engage your listeners. Acting improv teaches the core parts of a message: what needs to happen; when the beginning is over; when the audience has had enough of the middle; when it is time to move on to the end. Business professionals who use this knowledge and the timing it develops become truly engaging: they become masters of engagement, and they have a measurable competitive edge. 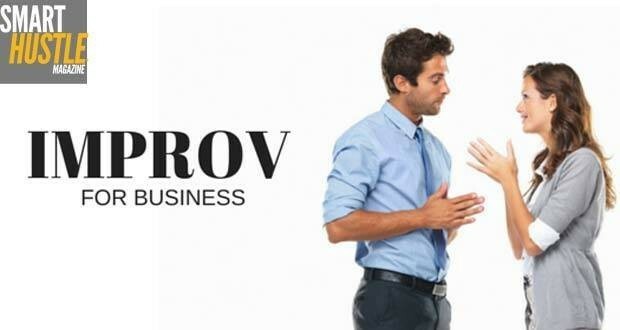 Use these tips to increase your #business #leadership skills through #improvisation! Practice improvising with one friend or trusted colleague. Set a timer for three minutes. With your partner, create a situation of high conflict. Decide only three things: who you both are (the relationship between you), where you are (the setting) and what the conflict is (simply stated). Conflict is created when one person wants something that is diametrically opposed to what the other person wants. The higher the conflict, the more commitment and passion you will use in your voice and body. Do not make any plans about what you will say (dialogue). Let the dialogue unfold naturally. Let it surprise you! Each “actor” is one of two people on a street corner who spots a thousand dollar bill on the ground. Each of you steps on a part of that thousand dollar bill at exactly the same moment. Each person must speak to the other with the strong objective of getting that thousand dollar bill: at all costs. What do you say, and how do you say it, in order to get what you want? Your improvisation should end only when the timer rings, and it does not matter how the improv ends. Each person should do everything in his/her power with words and body language to get want he/she wants (don’t give up and don’t give in). The proceedings are interrupted only when the timer rings. It's important to play the improvised situations “for real”. Try to pursue your objective as if your life depended upon it. The work of improvisation is to practice speech and behavior in a manner that is completely committed to your objective (the task at hand: getting what you want), so that your voice and body language will be fully engaged, free, passionate, and believable. Your improvisation may be humorous, but don’t “play it for laughs” (the way they do on Saturday Night Live, for example). Each partner in the improv should pursue his/her own objective with a seriousness of purpose. This is the key to a committed, passionate, and convincing delivery. Engage in improvisation often and have fun with it! This will enhance your projection of poise, passion and authenticity; it will help you project a winning presence whenever you speak with your prospects and clients. Maria Guida is an executive speaking coach, professional speaker, and Broadway actress. With her experience on stage, TV and film (working with Paul Newman, James Earl Jones, and Kevin Kline), she helps entrepreneurs enhance their credibility and generate business by speaking with poise, passion, and persuasive power. Her corporate clients include American Express, JPMorgan Chase, and Johnson & Johnson. 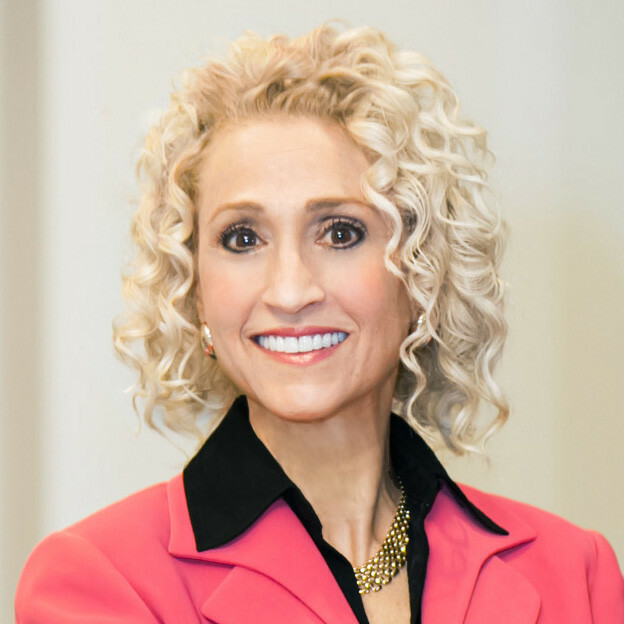 Maria delivers interactive and entertaining keynotes and workshops and will be happy to speak for your group. She can be reached at 718-884-2282 and maria@successfulspeakerinc.com. Please visit www.successfulspeakerinc.com.